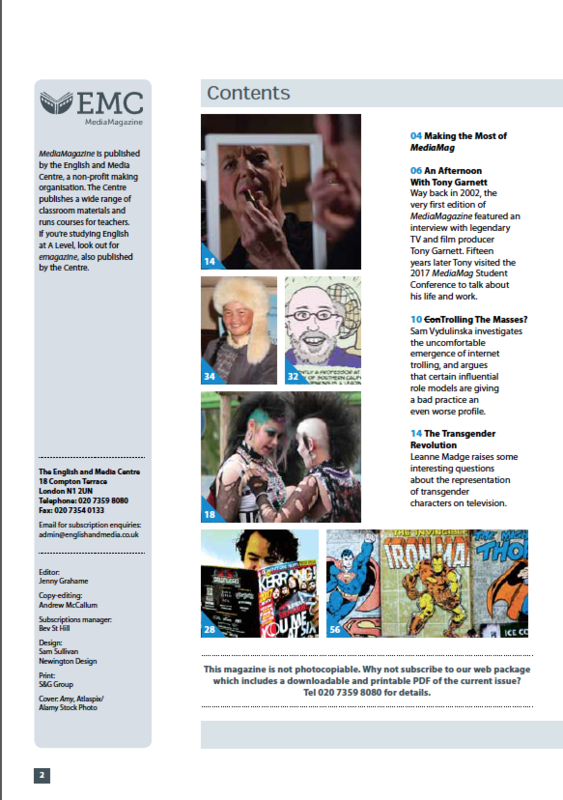 I managed to miss updating the blog when Media Magazine: Issue 59 was published back in February. I have no excuse other than I’ve been working on a couple of pretty large writing projects that have kept me very very busy (see previous post). 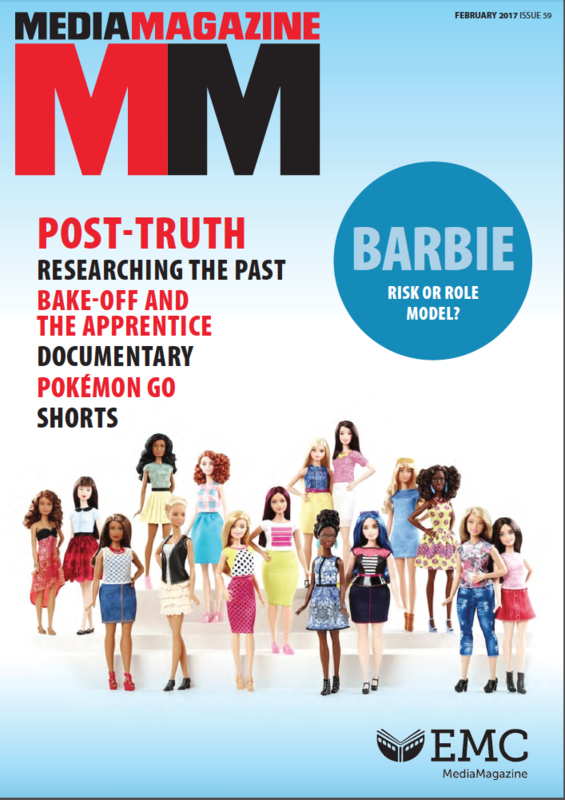 So, better late than never – the ever brilliant Media Magazine contains diverse articles on topics such as the context of a post-truth world, The Bake Off and Barbie! Sadly, the blog has been pretty quiet this year. This is not because there haven’t been loads of media issues and debates that have been worth talking about – quite the opposite. 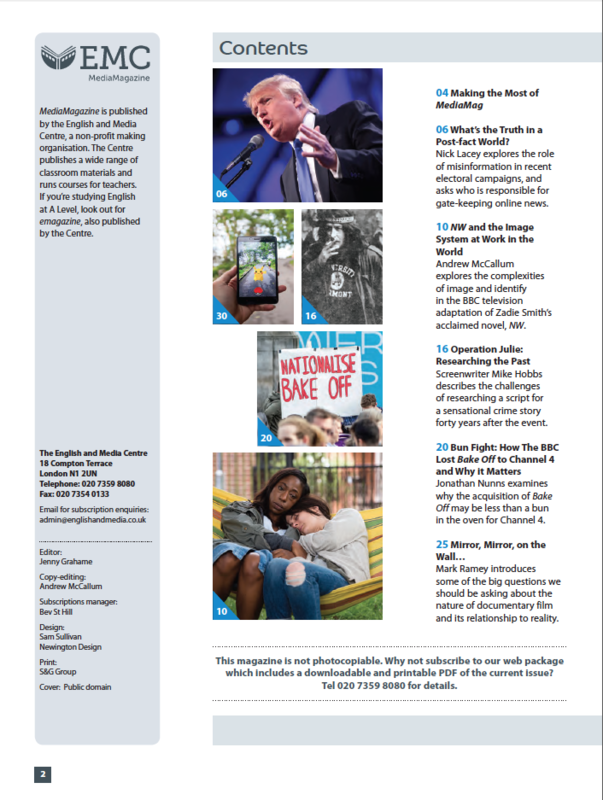 What with Trump and the Bake Off; Brangelina being no-more and Pepsi’s PR faux pas; the post-truth world, the rising confidence and belligerence in the tabloid press and the near hysterical approaches to tragic events in broadcast and social media, there’s been a lot to keep any student of the media and culture occupied in the past year. There are loads of blog-posts I’d like to have posted but I’ve been occupied with a pretty big project – co-writing a text book. 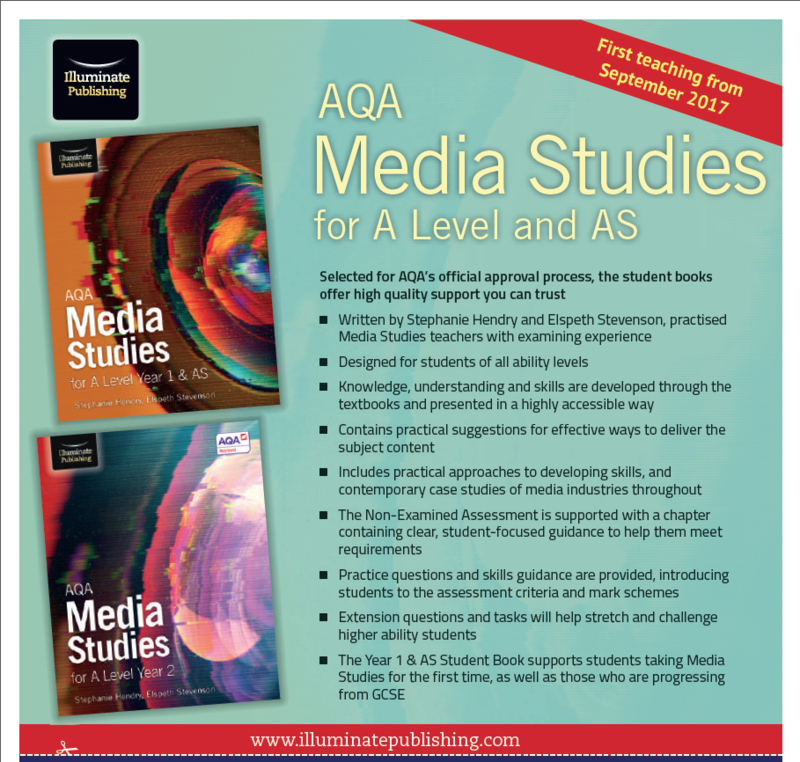 The AS/Year 1 Media Studies book will soon be ‘on the shelves’ (or on Amazon) and Elspeth (Stevenson) and I are currently working on the A Level/Year 2 book which should be published later next academic year. Once this second book is complete, I’ll get back to posting more blog entries. I’ve continued updating the topic resources and have tried to keep Facebook and Twitter as up to date as I can – there are loads of links there to be going on with!! 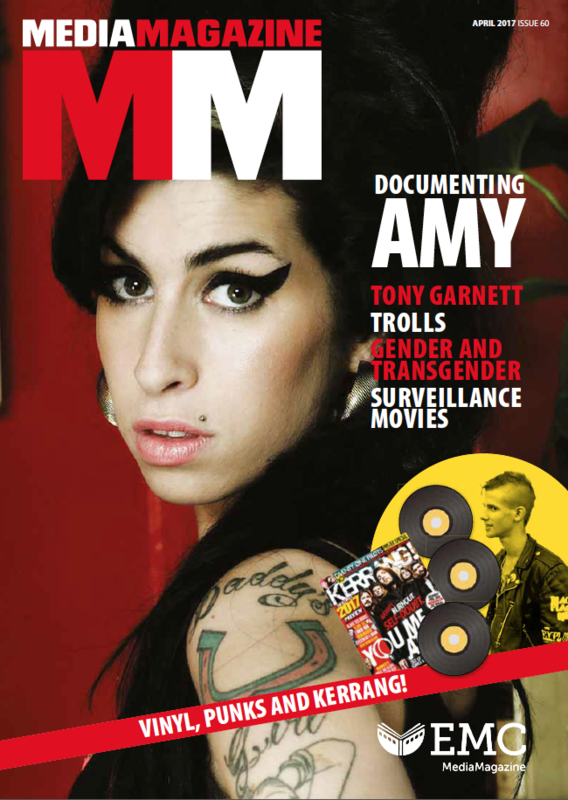 The final Media Magazine of this academic year is now available. 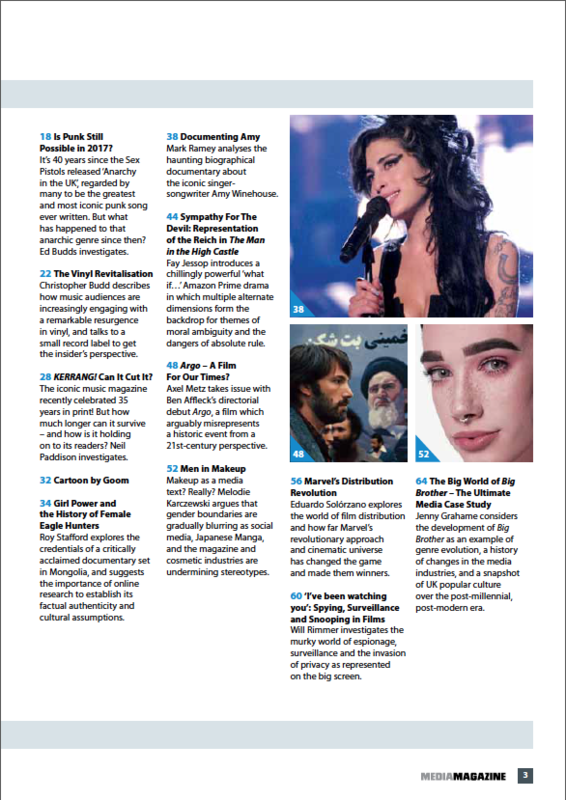 As ever, it includes loads of excellent articles dealing with the impact of digital and new media issues such as internet trolling, streaming only ‘TV’ and the music press. Feminine and masculine identities are discussed amongst loads and loads of other media issues and debates. 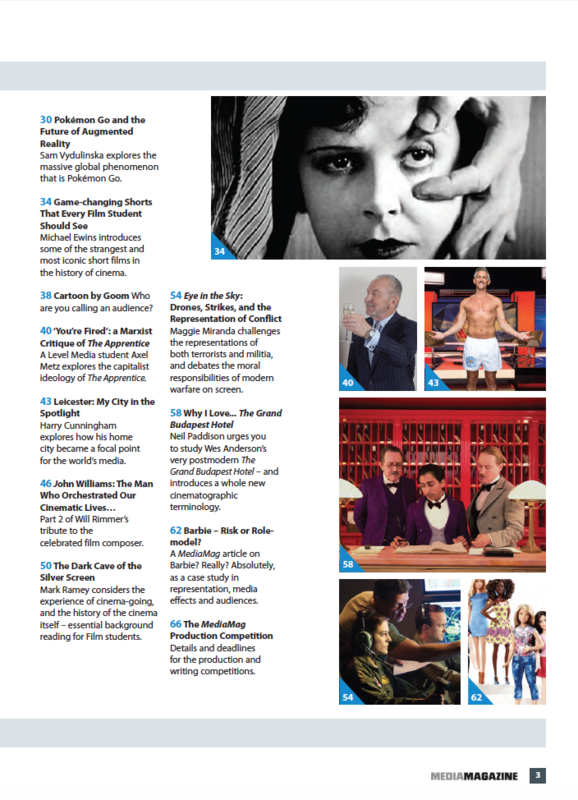 See below for the full contents of this issue.